Format ImagePosted on January 30, 2015 Leave a comment on Nice pricing quote! You’re rocking the sales funnel, bringing in new business and delivering to your clients like a super star. So why aren’t your profits growing too? You may be an unwitting victim of common pricing mistakes. These drive-by villains can kill your bottom line. Read on to learn if your profit margin is a target. You’re almost ready to launch a new product, but still haven’t set the price. To save time, and let’s be frank (or Betty or Joe… ) , to avoid the number crunching, you set your price based on your competitors’ prices. Although the lowest is $99, and the highest is $875, most are in a tight range between $425 and $475. Hmm… how about $462? $462.15? Perfect! The second problem with this approach is apples, or perhaps I should say apples to oranges. How does their expense structure stack up against yours? Is this truly an apples to apples comparison? Or did some Florida oranges sneak in? Even if, and that is one BIG if, their product is priced correctly, your expenses may be higher which would result in a price that is too low for your business. In fact, if a direct competitor is an exact clone of you, how do you stand out? You can’t be a leader if you’re following someone else. When working with clients on their pricing I invariably hear, “Why are you asking about that? It’s such a small amount?” This profit killer isn’t a drive-by, it’s death by 1,000 cuts (yes that was really a form of execution). Small doesn’t mean harmless. Consider a weekly expense that is $5. Seems like peanuts in the grand scheme of things. Now multiply that number by 52 weeks, at $260 it doesn’t seem quite so small. What if you were ignoring five different $5 expenses every week? That’s $1,300! Small things add up, ignore them at your own peril. Small Business Pricing Mistake #3 – Why Are You Working for Free? Many entrepreneurs assume that their pay is in the profit margin. Wrong. Profit margin is what your company earns. What about your time? If you did that same work for another company wouldn’t you bill them? Any product or service you sell involved some of your time, shouldn’t you be paid for it? Look at it another way. What if someone else had done the work? Wouldn’t you have to pay them? Calculate the cost of your time (if it helps, imagine you’re the employee) and include that in the price. And don’t forget to actually pay yourself. If you still want to work for free give me a call – I have plenty of projects on my desk! 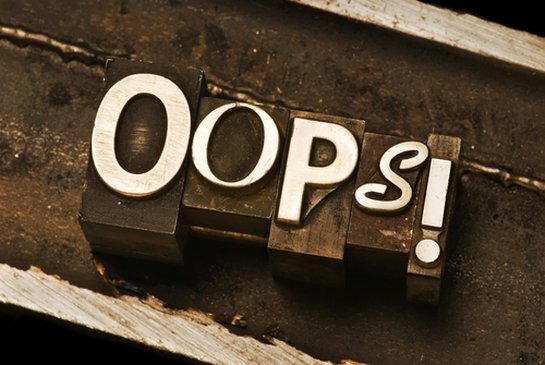 Have you made these pricing mistakes? Are there others you struggle with? What would be the easiest for you to fix today to grow your bottom line? TACTIC #1 — Never simply slash your prices, unless you’re trying to empty obsolete inventory. Instead, try repackaging your prices so they’re more affordable in the short-run so more prospects can afford them. For example, rather than pricing your service for the year, « Our monthly newsletter is only $39 for the year. » Instead, try « Our monthly newsletter is only $3.25 per month. » If you accept credit cards, it’s very easy to set up reoccurring monthly charges that are billed to your subscribers without having to intervene every month beyond the initial account set up. The upside to offering your subscription on a monthly basis is that you can now market a $3.25 headline versus a more expensive $39 headline, i.e. you’re able to offer services at a more affordable rate without slashing prices. Here’s another example. Just last night I was on the phone with a potential marketing client. As a small business owner she’s trying to get some marketing help and is on a tight budget. My standard hourly consulting fee is $225, which is not always appealing to some businesses. However, in trying to work within her budget I suggested that my services could be more affordable for her if she allowed me to help her through email instead of face-to-face or on the phone. Let’s face it, when you’re on the phone with a client it takes longer to accomplish what you’re doing since you’re not only answering their questions, but you’re building a relationship and talking about unrelated topics. It’s difficult not to. In fact, you should! No matter what type of consultant you are, building a successful business is not about the initial sale, it’s about establishing a long-term relationship with customers. One-off sales don’t lend themselves to growing a profitable business; rather, deep customer relationships do! However, since I was able to establish a trustworthy and comfortable relationship with my prospect on the phone, she thought my marketing services through email would be a win-win. Did I slash my prices? No, instead I found a more efficient way to offer my services, whereby I could offer them in less time and therefore, my client will pay less money. This strategy could work for business coaches, fitness experts or personal chefs, when the latter prepares meals in her home rather than in a client’s home. TACTIC #2 — Create tightly niched product or service offerings. For example, if you’re operating a personal concierge service, rather than just offer errand services at $25 an hour, try prepackaging specific errands with associated lower pricing. Why? Because you can offer a more aggressive price when isolating your fee to one particular service. If your customer challenges your reduced price as compared to your higher hourly fee, your response is simply, « I’m able to offer this lower packaged price because of economies of scale. While I’m out delivering your bundles to the Post Office, I’m also delivering packages for five other customers. » Ultimately, your customers will never know how many other customers you’re delivering for that day; however, the key is not to simply slash your pricing because you believe that reducing your prices will bring you more business. The key is to provide consistent and professional pricing practices. 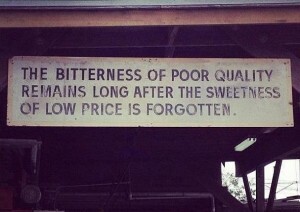 P.S…Yes, business is slow for many entrepreneurs right now; however, be cautious with your pricing methods. Don’t simply slash prices; instead incorporate long-term and short-term strategies that are always complementary to each other. If you offer a product for $15 today, then again at $35 six months from now, you must have your reasons in place, otherwise you’ll aggravate your customers. It doesn’t matter if your business sells products or services, setting your prices is the most elemental factor for your success. Go low and you lose money with every sale, but shoot too high and you’ve priced yourself out of the market. Over the past two decades, my husband and I have launched several businesses. During this time, we have made a few mistakes, fixed those mistakes and learned several important product and service pricing lessons when it comes to pricing strategies for the small business. Many young companies feel the pressure to heavily discount their prices in order to win business. When we launched our online legal document filing company in 2009, the market was already filled with big names like Legal Zoom, along with numerous small players who were practically offering their services for free. In a rush to attract customers, we positioned our products as low as possible. Sales were great, the only problem was our prices were making the business unsustainable. We quickly realized we needed to change our approach from selling the cheapest service around to bringing added value to our customers. In doing so, we increased our prices. Nervous about any drop off in sales, we were surprised to see that our sales volume actually increased by 9% the first month after the price raise and by 22% the following month. The New York Times ran a story about an online retailer, Headsets.com. The company experienced a computer error that caused all the prices on their website to be displayed at cost rather than retail. With the dramatically lower costs, they expected their sales to soar. Instead, the increase was only marginal. The moral of the story is don’t assume that customers are only looking for the lowest price. Yes, the price tag is a big part of the buying decision, but your sales may be less dependent on price than you think. 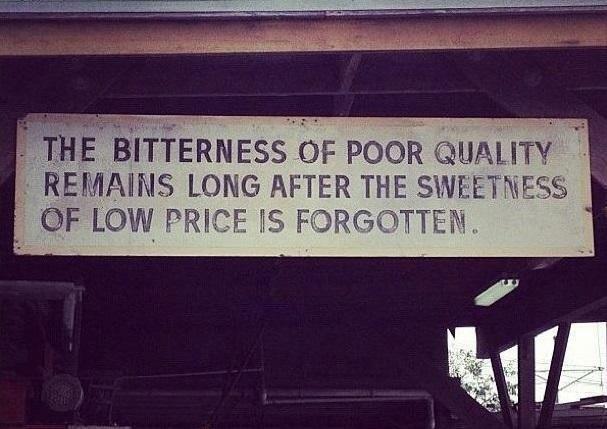 When any product or service becomes commoditized, the lowest price always wins. At first glance, the online legal service industry seems as commoditized as they come. As providers, we all help our customers incorporate their businesses or file other legal forms with the state. When we chose to raise our prices, we decided to focus on our main area of differentiation: Customer service. Each call is answered in just a few rings by a small business startup expert working in our California office. We started to offer free business consults and rolled out other free value-add services. With slightly higher prices, we were in a better position to provide this level of customer service to our customers. The bottom line is you can always find a way to differentiate yourself from the competition, even if you think you’re operating in a “lowest-price-wins” commodity market. I’ve learned that you are better off in the long run focusing on how to bring more value to customers, rather than simply slashing your prices. Like so many online industries, we face constant pressure from low-cost providers offering bare bone services. To combat this pressure, we implemented a tiered pricing structure that lays out multiple options at different price points. Tiered pricing gives potential customers more options to meet their needs, but most importantly, it empowers customers to make better, more informed decisions about what they get for their money. When you see each package side by side, it makes the price points feel less arbitrary. Regardless of your industry, service, or product, you can probably think of a way to give your customers options. For many of our services, we created three packages: basic, deluxe, and complete. Three tiers work best, since the structure fits a familiar framework: bronze, silver, gold; small, medium, large; good, better, best. Since implementing our tiered pricing, the majority of customers opt for the top two tiers…demonstrating that consumers are willing to pay a premium, as long as they understand the added value of that service. When it comes to sales, the main goal is to remove the barriers your customers may be facing when making their purchases. For us, this meant making the application process as easy as possible. For example, when a new business owner wants to incorporate, other sites will force them to fill out more than 20 pages. We worked hard to whittle the process down to just a single page. To succeed in any form of eCommerce, you need to make the whole purchasing process as fast and hassle-free as possible. In our case, this meant eliminating the need to enter lots of unnecessary information. In other cases, this could mean not requiring users to open an account in order to make a purchase. Amazon’s one-click is a brilliantly successful way to eliminate any friction in the purchase transaction. FedEx and UPS rate increases recently took effect while fuel prices, a key cost for shippers, are at record lows. Crude oil broke $50 a barrel, the lowest in nearly six years. So what else is driving changes in shipping prices? The answer, in short, likely includes the Amazon effect. U.S. trucking tonnage is at record highs, reflecting a pickup in retail sales, factory output and the broader economy. Few trucks are idle, which basically means businesses are hauling a lot of stuff at the moment, and space on pallets, on which goods and shipping containers are placed, is a hot commodity. Before the brave world of online sales, truckers and shippers simply worried about the weight of things. Imagine tonnage and pounds as related to tractors, toys and apparel, hauled across the country. Then consumers through websites — both small and large, including Amazon.com — began ordering lots of things for doorstep delivery. Online shoppers have goods from flat screen TVs to boxes of laundry detergent shipped. Along the way, partly induced by minimum purchase requirements to qualify for free shipping (think Amazon Prime accounts), shoppers began indulging in small add-on items, say, a pack of razors to a tube of lipstick. Why not? It’s free shipping! But tiny products including everything from dime-size ear buds to a jar of eye cream under one ounce — wrapped in bubble wrap, then encased in giant boxes — has consequences. There’s a ripple effect to the broad transportation sector, the environment and ultimately consumers. Whether a driver is hauling a super heavy piece of machinery or a feather-light box filled with rolls of paper towels bought in bulk, carrier costs including driver wages fuel remain the same. “Some of these carriers are basically shipping around air,” says Christoph Stehmann, president of Ecommerce and Shipping Solutions. “If the carrier only charged by weight, they would be losing money,” he said. Charging for actual weight and dimensional weight, which takes into account the width and height of each box, now is an industrywide practice. FedEx shipping rate changes began Monday, and UPS rate changes kicked in on Dec. 29. UPS initially announced a general rate increase in October last year. It’s worth noting both rate changes are in effect as fuel prices are at record lows. The national average for diesel is at a four-year low, around $3.09 a gallon, the lowest since October 2010, according to AAA data. The U.S. average for regular gasoline is the lowest in roughly five years at about $2.19 a gallon, the lowest since May 2009. A spokesman for the Federal Trade Commission said the FTC doesn’t comment on specific business practices or price increases. A UPS spokeswoman said fuel prices are only one factor in UPS pricing, and that dimensional weight pricing is designed to encourage shippers to package goods efficiently and reduce excess packaging materials and overall package sizes. “Fuel is only one input to UPS pricing,” said Susan Rosenberg, a spokeswoman for UPS. “UPS rates are competitive and built around value from more service options, consistent reliability and technology that drives information that helps customers balance service and cost,” said Rosenberg, in an email to CNBC.com. “FedEx makes decisions about shipping rates based on economic conditions, market conditions and the value of the service that we provide,” said Jess Bunn, a FedEx spokeswoman. “We believe the shipping-rate changes we announced last year and that went into effect Jan. 5 are appropriate. They allow us to continue to invest in the value we provide to our customers,” said Bunn, in an email to CNBC.com. Truck drivers navigate a rain-covered highway on the outskirts of Chicago, in Hinsdale, Ill.
Expect to hear more about dimensional weight, as more shoppers migrate online and transportation capacity overall remains tight. The American Trucking Associations’ for-hire truck tonnage Index jumped 3.5 percent in November last year, the latest monthly figures available. In November, the index equaled 136.8, the highest on record. The tonnage increase reflects an improved economy and, in some regions, a shortage of drivers. In the end, those most affected by higher shipping rates include small business owners, who are being forced to re-evaluate their shipping strategy. Morris and Mindy Saintsing own Bamboosa, which sells baby clothing, a “lap log” for tablets and accessories all made domestically. They recently tweaked their shipping strategy to save money. Six months ago, small business owner Morris Saintsing pre-empted higher rates at FedEx and UPS by shifting the bulk of his shipping needs to the U.S. Postal Service. The post office factors in package dimensions, but Saintsing said post office prices overall were cheaper. Saintsing’s company, Bamboosa, offers baby clothes, accessories and a “lap log,” which props up a tablet. Based in Andrews, South Carolina, all of Bamboosa’s items are “Made in the USA,” and all of their sales are online. For any business in the e-commerce space, a savvy shipping strategy is essential. As an example, Saintsing said that using a box that’s shorter by two inches can save two bucks. Multiply that by hundreds of orders, and the savings add up. “Just decreasing the cubic size a little bit can make a significant change in rates,” he said. Ever look at the number on a price tag and wonder where that number came from? According to Mark Ellwood, the author of “Bargain Fever: How to Shop in a Discounted World,” a price consultant was probably paid a lot of money to help determine the number on that tag. Ellwood says price consulting started in the 1980s when Hermann Simon, a former professor of economics in Germany, challenged the traditional method of “cost-plus pricing,” which is pricing something according to the cost of acquiring it. Simon and his colleagues invented value-based pricing, essentially transaction utility in practice. Don’t start with manufacturing costs, Simon said, but with the customer and what they value about a certain product. Today, price-consulting savants break down exactly how much the demand for a good or service yo-yos in sync with its price tag (a concept known as price elasticity of demand), then help businesses adjust accordingly. The brinkmanship is akin to an everyday auction, pushing prices as high as the market will bear. Here are a few methods of price consulting used to manipulate you into buying something you might not really need. Next time you’re in a store, keep an eye out. According to Ellwood, that one item on a restaurant menu or in a store that is wildly overpriced has a purpose: to make everything else seem cheap in comparison. This pricing strategy uses the power of three to push shoppers toward the one product a store is hoping to sell the most. Ellwood presents an imaginary Best Buy offering three Samsung TVs each marked down 30%: a 32-inch for $US499, a 40-inch for $US699, and a 46-inch for $US899. According to Ellwood, Best Buy is hoping to sell the 40-inch option because it will likely offer the healthiest margin. Here’s something else that’s not just a coincidence: prices that have common endings. What does your pricing say about you? Most sales people lack the confidence to charge full price. Regardless of the pricing model you have worked hard to develop, when push comes to shove—and often even before push comes to shove—sales people cave in and offer discounts. This reflects an underlying lack of confidence in the value of your company’s product and services. You can dramatically increase your profitability in the coming year by emphasizing pricing realization as much as pricing strategy. Pricing realization means that when your sales team is negotiating, they negotiate in such a way that there is no question in the prospect’s mind of the value they are purchasing, and consequently, they are willing to pay full price. Implement these 5 tips to ensure your sales people have the confidence to charge full price. If key stakeholders are not invested in the relationship with your company, they will have no qualms about pushing for discounts that hurt your bottom line. Those sales people that take the time to enroll all stakeholders in the outcome they can provide are much more likely to have the confidence to engage in profitable business. This is primarily because they are able to perceive and understand the value their proposed solution is creating for each stakeholder. In order to realize full pricing, it is critical that sales people have a substantive understanding of the problem they are solving. They must understand what the prospect is trying to accomplish, what external threats are interfering with the achievement of their objective, and what internal challenges are creating complications. It is the in-depth understanding of these three elements that enables sales people to create customized solutions that excite their prospects. Far too many sales people forecast close dates for their opportunities that are based on wishful thinking rather than fact. Once they have entered a close date in the CRM, they now feel personally obligated to make that close date a reality. 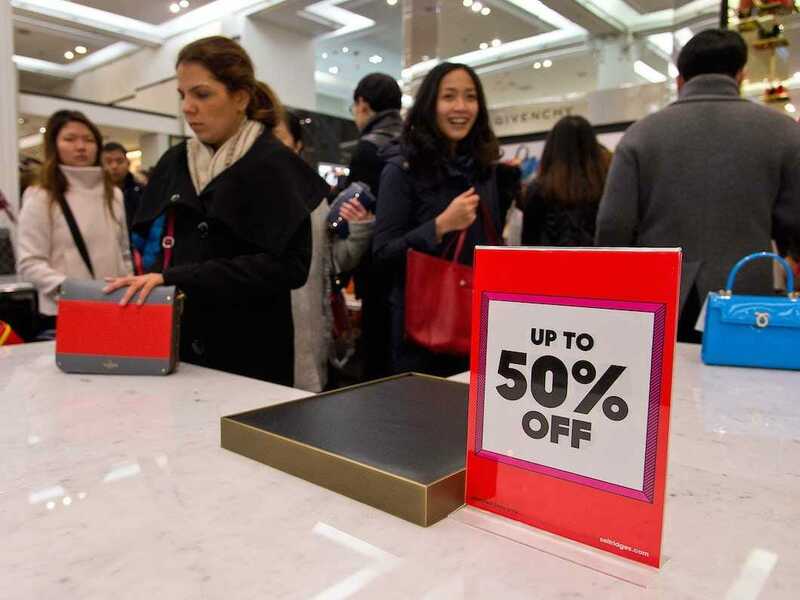 As the close date looms closer, these sales people engage in acts of desperation and deep discounting, hoping this will entice the prospect to act in time to honor the forecast. Close dates should not be set without knowledge of how decisions get made within an organization. Only when the sales person understands a) who gets involved, b) when they get involved, c) what they are looking for when they get involved, and d) the internal politics and systems that need to be navigated for successful adoption, can a sales person accurately project when a prospect will be in a position to make a decision. Any other dating on a sales opportunity is mere conjecture and will surely disappoint both the salesperson and sales management. When sales people haven’t done their homework, they are not in a position to understand how to create real value. They end up offering what they think is a great solution; but in fact, it’s no solution at all, it’s simply a bundle of products and services. A real solution targets, with pinpoint accuracy, specific challenges the organization is facing. It combines only those products and services that effectively address these specific challenges. Moreover, the combination and configuration of the solution must be unique to the sales person. It is the combination of fit and uniqueness that gives sales people confidence to charge what they are worth. Having taken the previous four steps, you might think that getting prospects to agree to pay full price would be automatic. This simply isn’t true. While the previous four steps are critical, you cannot make the assumption that the prospect actually understands your value. You must spell it out. You must articulate your value with specificity and nuance for each stakeholder. Depending on his or her functional role and objectives, each stakeholder will have a slightly nuanced view of the definition of value. You must connect the dots for them in your proposals and presentations. Don’t rely on boilerplate text. Customize, customize, customize! While these 5 tips require some additional work, it’s actually less work than running around and readily offering discounts at the first sign of resistance. Follow these 5 tips and see how quickly you create happier customers and more profitable transactions. Ask any customer what they think of Amazon as it relates to describing their buying experience, and most will argue that the online entity is a bevy of breathtaking products and pricing that is highly competitive, particularly when you consider the diversity of the items being offered. Furthermore, Amazon doesn’t just compete with the brick and mortar retailers such as Target, Best Buy or Wal Mart but rather has been a major reason why those stores have struggled recently. Amazon not only delivers the same products right to your front door but also does so for less money more often than not. Even though Amazon seems to be a step ahead of the competition, they’re not resting on the laurels. They’re actually upping the stakes even more so with a new pricing structure that is destined to create even more buzz behind their brand. Amazon is ushering in a name your own price type model, which this holiday season will allow customers to “make an offer” on thousands of products, hoping to catch the eyes of consumers who love the back and forth thrill of shopping online, the same group that loves to believe as though they’re finding a deal and want to find the absolute lowest pricing. Kudos to Amazon for taking what already is a stellar, savvy business model and making the large scale, giant retailers that much more nervous around the busiest shopping time of the year. Amazon already has forced those same stores to rethink just about every aspect of how they do business, so it would only seem appropriate that the online shopping spot is changing the game of how things are bought once again. Negotiating, one could argue, was the element of Amazon that realistically was missing altogether. The goal behind this move, you’d assume, is to gain market control of the buyers who love online spots like eBay, where you’re bidding on items more so than just outright buying them (although eBay still does its “Buy it Now” program). The other aspect of eBay that is intriguing to customers is the “Make an Offer” portion as well. Amazon, to a degree, has taken a page out of the books of eBay. The difference is they already have a large clientele that loves their low pricing. Adding the thrilling element of making an offer on a product furthers the portfolio of Amazon and how they do business. It also gives sellers on Amazon a chance to communicate with potential buyers, an element of the web site experience that was sorely missing at Amazon. The real winner in this bold move is the customers who already adore Amazon and how they do business but now can add another level of buying to their experience. Of course, you’d be hard pressed to not tab Amazon as coming out of this deal somehow looking better to the general buying public than they already did beforehand. When it comes to business models in the gaming world, the three most talked about (and dominant) are free-to-play, premium and subscription. However, the use of a fourth—although less talked about—model is on the rise: the episodic model. According to the episodic model, a game is broken down into individual episodes which are each sold for a fraction of the cost in comparison to the price should they be sold together as one game under the premium model. For example, a $24.99 title will be split into five episodes each priced at $4.99. The most successful game based on this model is The Walking Dead by Telltale Games. This critical and commercial hit is now in its second season. Telltale is also using the episodic structure for a game based on Game of Thrones. Canadian developers are also seeing the advantages, with Vancouver Island-based Hinterland Games working on the highly anticipatedThe Long Dark. So when does it makes sense to use the episodic model and what are the advantages of using it? The episodic model generally works best with relatively linear and story-driven single-player games as opposed to more open-ended social games. This is owing to a number of factors such as ease of inter-episode connectivity, the working of network effects and the power of stories as retention mechanisms. For most developers, the episodic model’s most exciting aspect is likely how it encourages the development of more creative, daring and innovative games. By breaking up a game into several episodes, a developer can spread out the risks and costs of its development and commercialization. If the first episode turns out to be a flop, developers can save themselves tremendous amounts of time, money and anguish by immediately axing any further development. The stakes are thus lowered, as are the risks of innovating and experimenting. Longer, more complex games that appeal to more dedicated “core” gamers also become more accessible and viable when their development is based on the episodic model. It also allows to combine the “games-as-a-service” approach and both single-player and core games such that developers can use analytics to improve future episodes and further decrease risk as a series goes on. Camoflaj used this model to bring République to iOS. The game features in-depth storytelling, a moody dystopian setting and gameplay mechanics that are decidedly more core than casual. Without the episodic model, it’s highly unlikely this game would have been released first on mobile (or even at all) given the platform’s nature. Any developer is sure to be tempted by the massive combined install base of iOS and Android, but the most successful games based on these platforms are sold under $5 or even available for free. The episodic model makes larger, pricier core games such as République palatable for the mobile audience given they are more in line with mainstream price expectations on an episode-to-episode basis. This in turn allows players who are “on the fence” to fork out less money to try a game. Developers hope they become hooked once they’ve experienced a first episode. Episodic games can also reduce barriers to purchasing for reasons other than pricing: less perceived time commitment (“I’ll just play the first episode”) and relief from the anxiety of adding another large game to one’s backlog (an increasingly common phenomenon). An episodic structure also leads to increased presence in mobile app stores and curation platforms via multiple app icons. This is especially important given the surfacing and searchability issues on both iOS and Android. The episodic model mitigates the risks of developing new concepts and thereby provides players with innovative games that might not otherwise ever be developed. An additional benefit for players is that the episodic model can result in a gaming experience of increased overall quality. Most of us don’t finish our games; developers know that and put this knowledge to work when budgeting time and energy over the course of a project. The episodic model makes larger games more digestible and easier to finish, which puts more of an onus on developers to make sure their games are strong all the way though from the first to last episodes—less hacked together sloppy endings and rehashing of gameplay. Given all the talk on the demise of premium games and the rise of the free-to-play market segment, the episodic model offers an attractive way to present both premium and core games to wide audience bases while mitigating risks and allowing developers to take advantage of analytics and live development. Developers who are interested in harnessing this model should look at how to break their project up into episodes as early as possible in order to identify changes in pacing, storytelling and development cost structure that such a move may require.